Another massive victory for the nation in the domain of sports as Saoud Al Mohannadi, Vice President of Qatar Football Association (QFA) secures a spot on the FIFA Council. The decision was announced on the sideline of the Asian Football Confederation (AFC) Congress in the Malaysian Capital Kuala Lumpur yesterday, reported The Peninsula. Al Mohannadi received 37 out of 46 votes to confirm his membership (2019 -2023) in the Council, which is the main decision-making body of FIFA. Calling this a victory for all Qataris, Al Mohannadi dedicated his win to the country’s wise leadership and to everyone who helped and supported him, in particular QFA president Sheikh Hamad bin Khalifa bin Ahmed Al Thani as well as other QFA affiliates, according to Gulf Times. Al Mohannadi said his victory was a consequence of teamwork and vowed to do his utmost to honor not just Qatar but also the continent of Asia. HE Sheikh Hamad headed the QFA delegation to the Congress where this announcement was made. Hassan Al Thawadi, secretary-general of the Supreme Committee for Delivery & Legacy (SC) led its respective delegation. Al Thawadi expressed his delight on the achievement and congratulated all the Qatari people, reported Qatar Tribune. 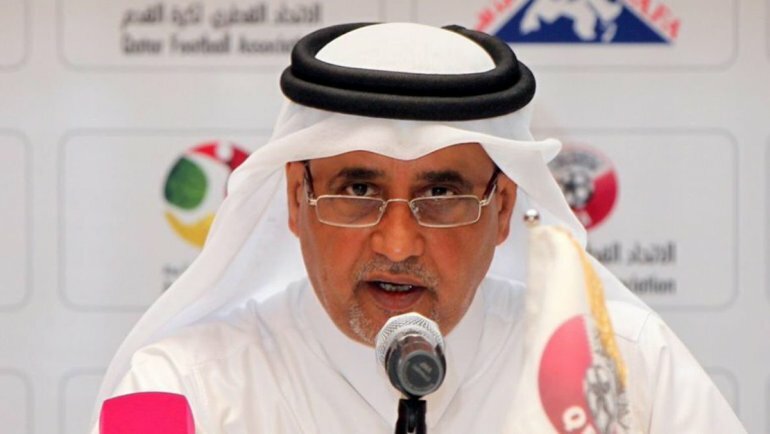 “This victory reflects the outstanding position of the State of Qatar, the QFA, and the high level of competence exhibited by Saoud Al Mohannadi in his active role in the Asian Football Federation,” he commented. Other than Saoud Al Mohannadi, Du Zhaocai of China, Praful Patel of India, Kohzo Tashima of Japan and Mariano Araneta of the Philippines were elected to the FIFA next session as well. FIFA President Gianni Infantino was also present on the occasion, which also saw the approval of Qatar's proposal to amend a provision in the Statute that prevented candidacy for two posts. Thus, Al Mohannadi also retained, by acclamation, his position as AFC Vice-Chair for West Asia. Moreover, Sheikh Salman bin Ibrahim Al Khalifa was also elected once again as its President for a new term of four years. Sheikh Salman has been elected by acclamation for the position he has held since 2013, after the withdrawal of his rivals to the presidency, AFC Vice President Saoud Al Mohannadi, and Chairman of the General Authority for Sport in the UAE Mohammed Khalfan Al Rumaithi. Sheikh Salman continues his term until 2023, by which time he will have completed a 10-year spell in charge of the 47-member body after initially completing the truncated term of former president Mohammed bin Hammam. Additionally, India ambitions to qualify for the 2026 World Cup as the first ever representative of the country, Patel was elected to the FIFA Council yesterday.